It’s February; the month of romance is upon us! It’ll come as little surprise that February (and Valentine’s Day in particular) is the most popular time of year to propose. So, you’ve narrowed down the month, now for the tricky bit; picking the right spot. The location needs to be just right… stunning backdrop, good weather, somewhere that conjures up happy memories. A holiday is the perfect opportunity to pop the question. We may be slightly biased, but we think there’s something a little bit special about Japan. With stunning landscapes, tranquil gardens and spiritual sites aplenty, there’s no shortage of places for that special moment (too many options if anything). To help make the decision easier, we’ve quizzed a few of our resident experts for their top picks for places to propose in Japan. We picked 8 for extra luck! According to Travel Consultant David, Meoto Iwa has to be up there – especially if you’re one for symbolism. Known as the ‘Wedded Rocks’ or ‘Husband and Wife Rocks’ (surely a good sign! ), this is a pair of rocks located off the sea in Futami. The rope that binds them is re-bound in a ceremony each year, and the larger of the two (the ‘husband’ rock) is topped by a small torii gate. This area experiences some pretty spectacular sunsets, so if timed right, this promises to be a pretty idyllic visual backdrop for that special moment. Meoto Iwa is an achievable day trip from Kyoto and can be combined with a visit to the Ise Grand Shrine – the most important and sacred Shinto shrine in Japan – earlier in the day. Nestling between mountains and sea, Kinosaki Onsen is your quintessential Japanese hot spring town and a place quite unlike any other. People come here for the top quality cuisine, inviting hot springs and lovely traditional architecture; all the hallmarks of success for a marriage proposal! It looks particularly inviting in the cherry blossom season, when blossom laden branches are illuminated at night. 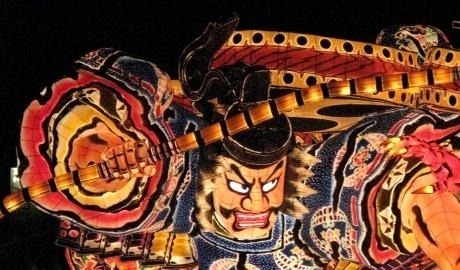 Come 6pm, the streets come alive with the clip clop of wooden geta sandals and hustle and bustle of yukata clad bathers. When it snows, it’s a whole other level of magical. After the proposal itself, Sam recommends renting one of the three beautiful private open air hot spring baths at Nishimuraya Shogetsutei, where they provide sparkling wine to accentuate the celebration. Looking out over the bamboo forest, you can relax together in the springs and hot rock sauna. If your partner is the type who enjoys a spot of R&R, this could be just the ticket. If you want a proposal with wow factor, look no further than the 634m high Tokyo Skytree in Sumida. This is the tallest tower in the world and the observation decks at 350m and 450 offer unparalleled views over the metropolis. Since this is a tourist hotspot, the queues are usually pretty lengthy. However, here at Inside Japan we can make a reservation at ‘Sky Restaurant 634’, which allows you to skip the queue, admire the view, propose and then celebrate with a wonderful French-Japanese fusion meal whilst admiring magnificent views. A stylish choice! If you’re based in the city but want something a little more understated than a skyscraper, Senior Travel Consultant Tim recommends the Shimogamo Shrine in Kyoto. This small shrine is often overlooked in favour of Fushimi Inari and Jishu Jinja, but it’s equally stunning without the pesky crowds. The grounds are surrounded by forest, dotted with striking vermilion wooden buildings and quaint bridges over babbling streams – all very serene. Most importantly, along with Jishu Jinja, it’s known as one of Kyoto’s love shrines; dedicated to the Shinto God of Good Marriage and Engagement (another sign – Japan’s full of them!). In traditional Japanese culture, people visit these shrines to pray for good fortune in luck, health and love, so if you’re into symbolism, what better place to start your married life? When people think of proposing in Japan, chances are they’ll dream of getting on one knee to a backdrop of fluffy pink cherry blossom. Sounds idyllic right? Be warned, this is hands-down the most popular time of year to travel to Japan, and the main cherry blossom viewing spots in Tokyo and Kyoto will be teaming with crowds. Born and raised in Tokyo, our Yuki is a good authority on the city’s best bits and hidden gems. If you’re looking for that perfect spot to propose in Japan, she recommends doing it like a Tokyoite and taking a stroll along the Meguro River from Ohashi to Shimomeguro, where both banks are lined with cherry blossom trees for a good 4km stretch. There’s no denying that this area will be busy – especially at weekends. However, it’s widely considered THE best sakura viewing spot in Tokyo, plus it’s a nice area to explore afterwards, with plenty of lovely restaurants nearby for a celebratory meal. As you may have detected from our previous blog here, Senior Travel Consultant Sophie is a big fan of the beautiful Izu Peninsula, so it comes as no real surprise that she has plumped for the Kawazu Seven Waterfall as her top spot for a marriage proposal. In addition to being beautifully peaceful, it is here that you can catch the earliest flowering cherry blossom; a handy little insider’s tip for you if you’ve always dreamt of popping the question amidst a sea of pink sakura blooms, without an audience. With golden and vermilion maple leaves framing the waterfalls, this is also a spectacular setting for a proposal in autumn. To top off a truly memorable visit to the Izu Peninsula, Sophie recommends staying at the Amagiso Ryokan; a modern ryokan with over 28 hot springs! Certainly not your average proposal spot, but imagine how cool it would be to walk out into the middle of the busiest crossing in the world and propose with half of Tokyo bustling past you! Admittedly, you’ll have to keep the sentiment pretty short and snappy, but it would make for a pretty incredible photo – especially at night with a backdrop of neon lights. As luck would have it, Inside Japan can arrange a tour of Tokyo with a local professional photographer; join our Tokyo by Night EYExplore tour and get a professional photographer to take your proposal photograph for you. To put it bluntly, if your significant other says “yes” after a gruelling overnight without sleep, you’re bound to stick together! The added sense of achievement of trekking for five to seven hours overnight and reaching the top of Japan’s highest peak will cement this as a moment to remember. Whilst the climb itself isn’t all that interesting, the view at sunrise is quite magical… plus you’ll have the benefit of a guide and fellow trekkers on hand to capture the moment on camera. If trekking isn’t your thing, a good alternative is to propose right in front of Mount Fuji from the northern shores of Lake Kawaguchiko. Given that Fuji-san is characteristically shy, you’ll need a certain amount of luck on your side; to improve your chances, travel between October and February. Don’t forget to set your alarm clock! 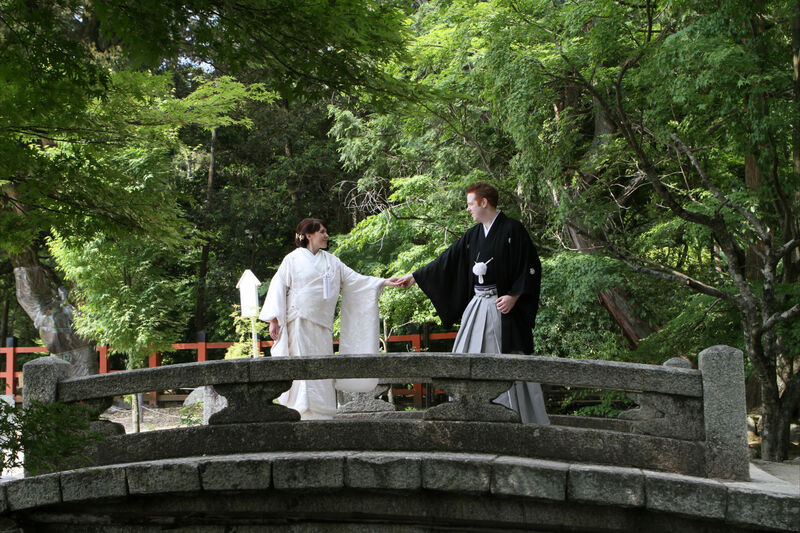 As a team of romantics with trusted relationships with hotels, access to exclusive experiences and a mine of information about every nook and cranny of Japan, we can make your proposal a special one. Get in touch and get planning.